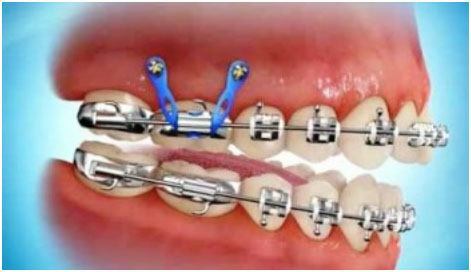 Orthodontic anchorage is an important factor in obtaining good treatment results. Stable anchorage is a pre-requisite for orthodontic treatment with fixed appliances. Traditional appliances for reinforcement of anchorage have included headgear and intraoral elastics. The inclusion of implants for skeletal anchorage can move a tooth without the use of headgear and intraoral elastics.